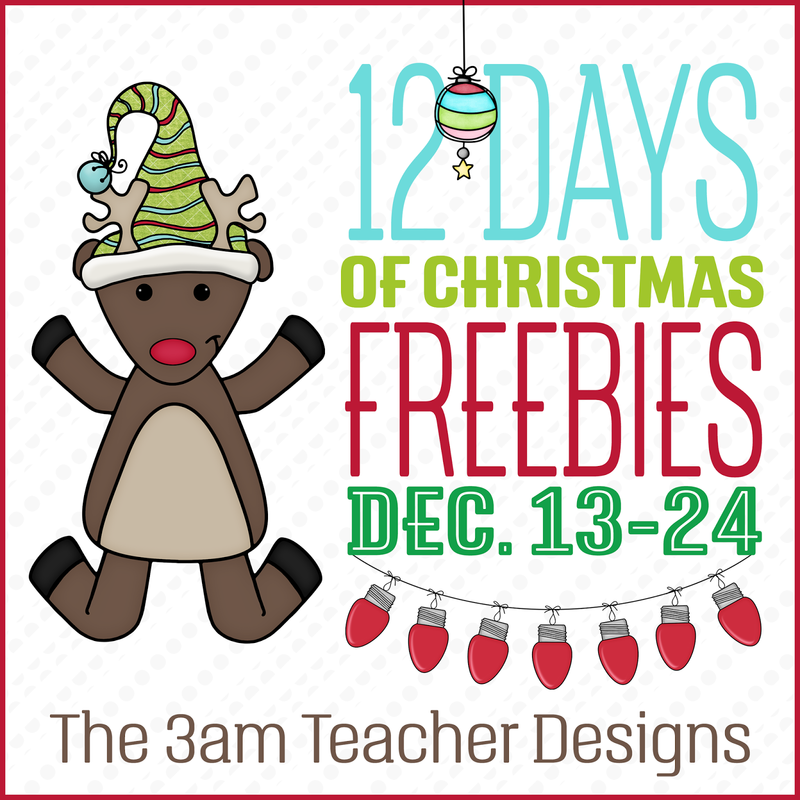 The 3am Teacher: 12 Days of Christmas Freebies: Last Chance Christmas Present Download!! 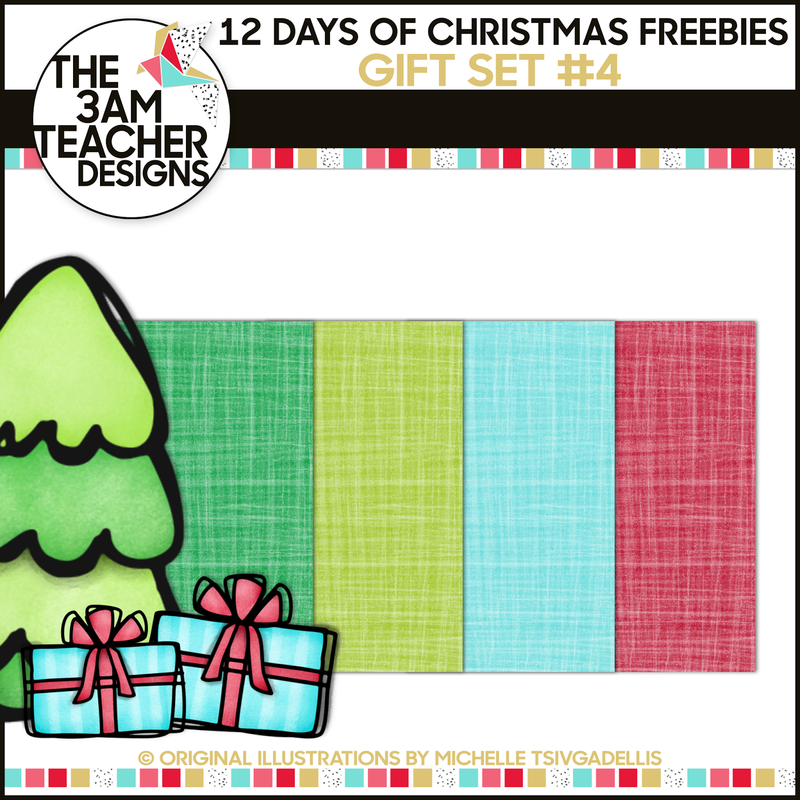 12 Days of Christmas Freebies: Last Chance Christmas Present Download!! I hope you all have a wonderfully blessed day with your family and friends! 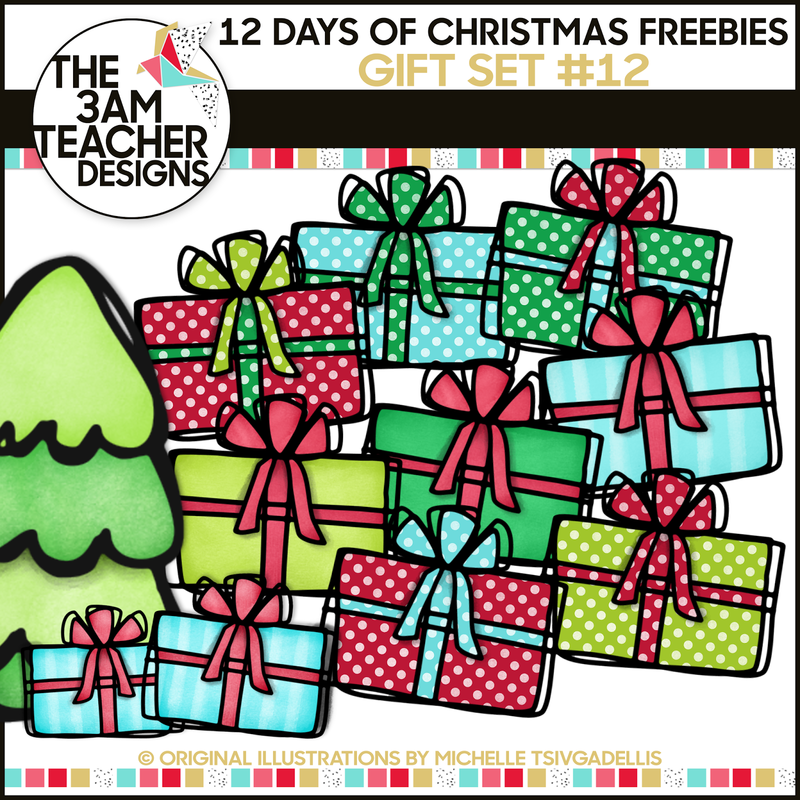 As my special gift to all of you, I am giving everyone a LAST CHANCE to download all 12 FREE Holiday Clip Art Sets from my 12 Days of Christmas Freebies for ONE DAY ONLY!! All day long, you can visit the promo link above and download ALL of the sets as my gift to you!! 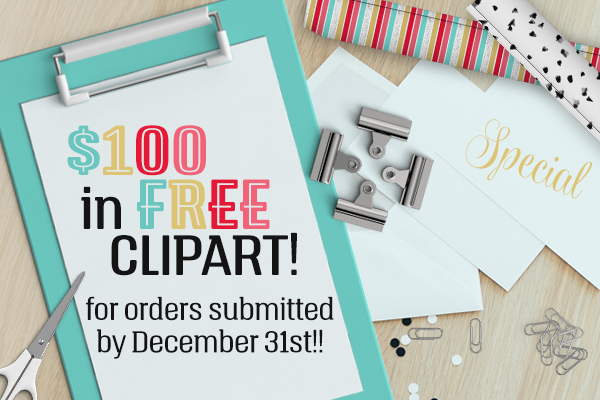 If you missed a day, this is your chance to make sure you grab all 12 free sets!! Just in case you weren't paying attention, here is what you might have missed!! Get all 12 sets in ONE download today only! These will not be available after midnight! 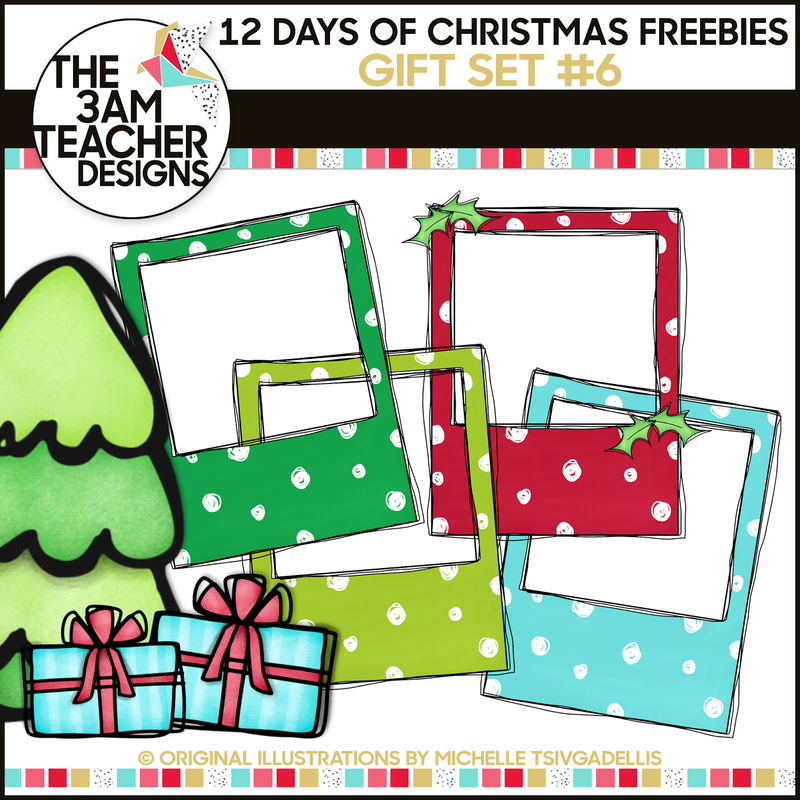 Click the main image at the beginning of the post to download these sets from my Teachers Pay Teachers Shop!! Thank you for blessing me and my family through your continued love and support! I hope these gifts bring a little happiness and creative inspiration your way!! I also included a bonus gift as well which will be available all day today!! 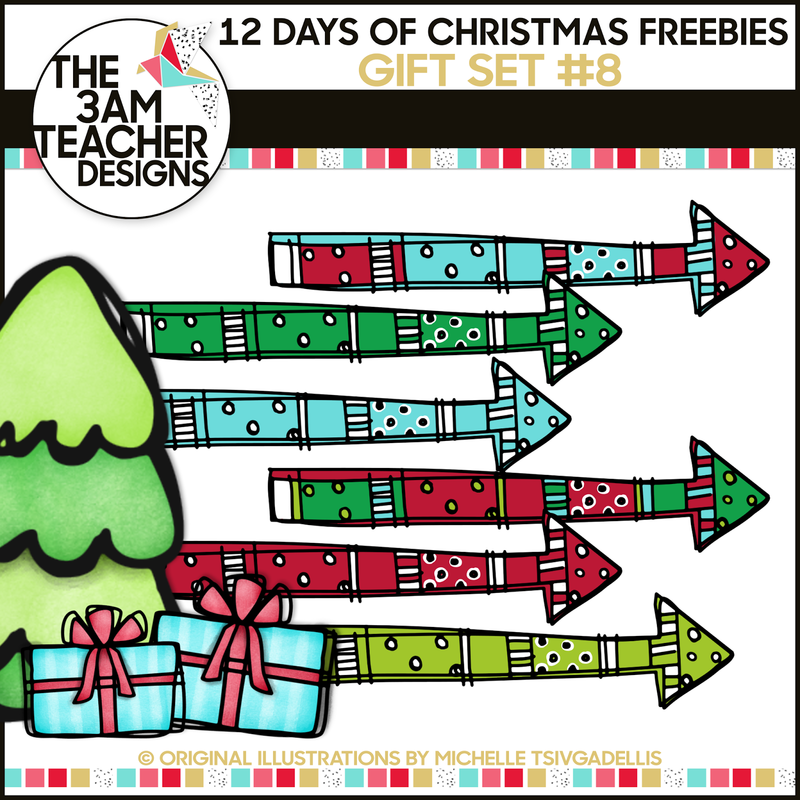 Click HERE to download my 12 DAYS OF CHRISTMAS FREEBIES IN ONE ZIPPED FILE!! Happy Holidays and please make sure to remember to leave feedback if you LOVE your gift!! I have a few more available spots to fill!! Have a very blessed holiday break everyone!! Thank you so much for your continued support and friendships all year!! WOW!! Thank you for putting this in one download! I missed out on the earlier ones. :) I love your work and definitely recommend them to everyone! Merry Christmas! Thank you so much for these awesome freebies! Wishing you a very Merry Christmas! I hope you had a very Merry Christmas with your family and friends! you are SOOO talented and kind. THANK YOU !!! Glad you put them together. I mised a few days due to job relocation. Thanks.